As I sit here listening to the mayor of Bainet, Francois Malherbe, giving an interview to Radio Signal FM 90.5, the situation in the city is more than dire. The community was definitely surprised by Hurricane Sandy, as there were not enough precautions taken to parry the blow. It is estimated that 80% of farms have been destroyed. 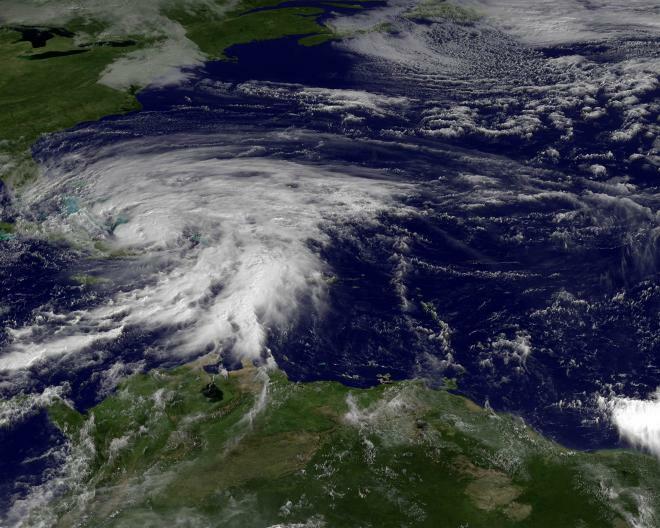 There are three fatalities, and Cholera is in full force again in the aftermath of Hurricanes Sandy and Isaac. Today, there is no transportation between Bainet and Jacmel, nor between Bainet and Port-au-Prince. This means that emergency situations that need to get to Jacmel or Port-au-Prince will not happen. The situation in all nine of Bainet’s districts are the same. The rivers are high, resulting in very difficult to impossible travel between districts. Schools in the region are not in session this entire week, because the waters are too high for the students to cross. Our clinic in Zorangé has been able to receive a few medical emergencies, and we have been able to provide the necessary care. We’ve had at least three patients that have stayed overnight; two of these patients had Cholera and were not able to get to the Cholera Treatment Center (CTC) in Bainet. Based on my experience living in Zorangé after a hurricane, the subsequent weeks and months bring hunger and hunger pains. Farming is destroyed, and the population depends on subsistence farming for survival. When farming is destroyed, the farmers rely on their livestock and they sell the animals to cover their living expenses and to pay for their children’s education. But what we’ve heard and what I’ve experienced is that since the storm was somewhat of a surprise to those living in the remote areas of the country, they did not have enough time to move their livestock to higher elevations. The people of Bainet saw plenty of cows, mules, horses, and goats wash off and away from the city. There is one family in Bainet (Joseph) that farms plantains—it is reported all his plantation farming is totally destroyed. So, the coming months will be hard for the residents. What comforts me is that these times bring out the best in people, wherever they happen to live, in the US or Haiti—they will definitely help each other. We pray for the continued ability to provide the necessary support at our church, our school, and clinic. We expect to see a lot of people coming to our clinic in Zorangé until they can get to Bainet or Gandou. And we will continue to collaborate with the community and serve them and treat them like the way we would want to be treated—with dignity and respect. Thank you for your support and collaboration and your partnership.